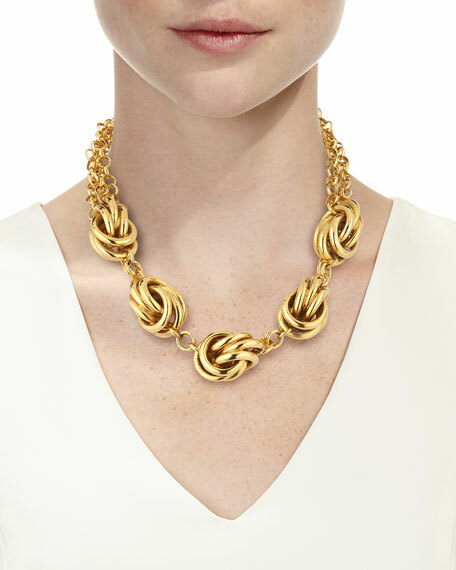 Jose & Maria short knotted necklace. 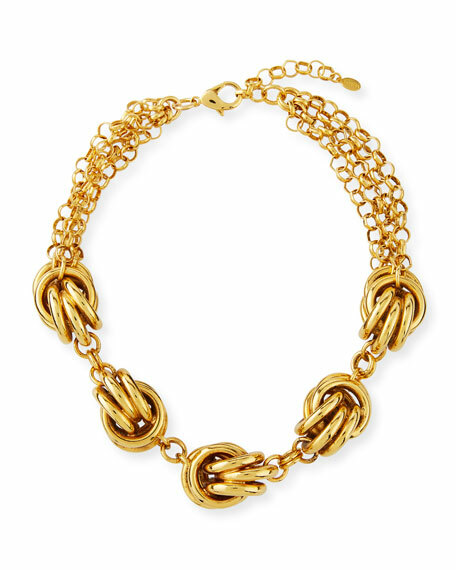 24-karat yellow gold plated brass. Chains with five knotted stations.